In this course, you will learn how to create and use Azure Functions and store data with an Azure Storage resource, within a mixed reality application. Azure Functions is a Microsoft service, which allows developers to run small pieces of code, 'functions', in Azure. This provides a way to delegate work to the cloud, rather than your local application, which can have many benefits. 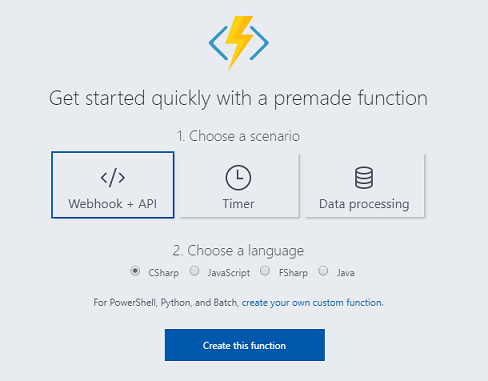 Azure Functions supports several development languages, including C#, F#, Node.js, Java, and PHP. For more information, visit the Azure Functions article. Azure Storage is a Microsoft cloud service, which allows developers to store data, with the insurance that it will be highly available, secure, durable, scalable, and redundant. This means Microsoft will handle all maintenance, and critical problems for you. 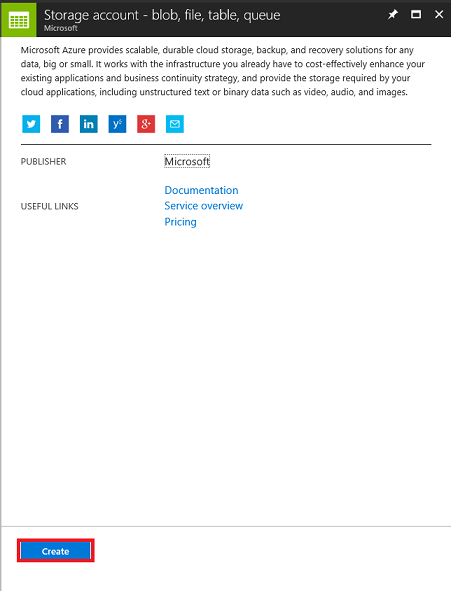 For more information, visit the Azure Storage article. Allow the user to gaze around a scene. 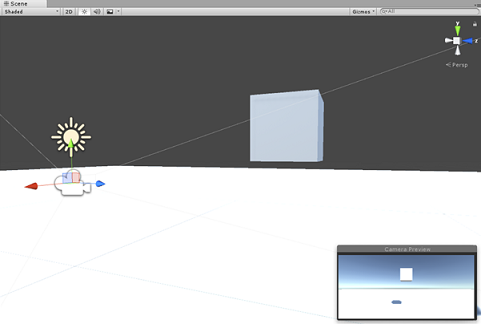 Trigger the spawning of objects when the user gazes at a 3D 'button'. The spawned objects will be chosen by an Azure Function. 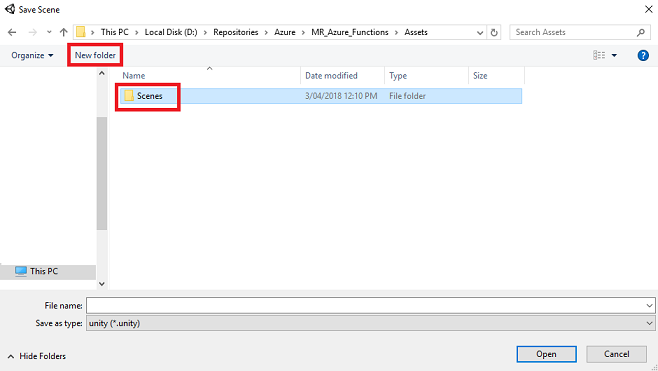 As each object is spawned, the application will store the object type in an Azure File, located in Azure Storage. Upon loading a second time, the Azure File data will be retrieved, and used to replay the spawning actions from the previous instance of the application. While this course primarily focuses on Windows Mixed Reality immersive (VR) headsets, you can also apply what you learn in this course to Microsoft HoloLens. As you follow along with the course, you will see notes on any changes you might need to employ to support HoloLens. To use the Azure Storage Service, you will need to create and configure a Storage Account in the Azure portal. Once you are logged in, click on New in the top left corner, and search for Storage account, and click Enter. 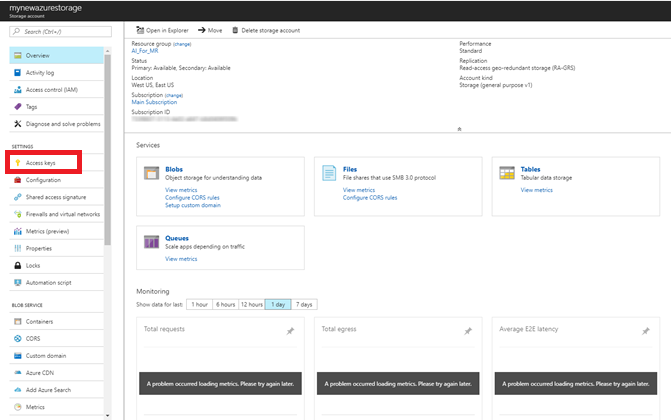 The new page will provide a description of the Azure Storage account service. At the bottom left of this prompt, select the Create button, to create an association with this service. Click the Go to resource button in the notification to explore your new Service instance. You will be taken to your new Storage account service instance. Click Access keys, to reveal the endpoints for this cloud service. Use Notepad or similar, to copy one of your keys for use later. Also, note the Connection string value, as it will be used in the AzureServices class, which you will create later. You will now write an Azure Function in the Azure Service. You can use an Azure Function to do nearly anything that you would do with a classic function in your code, the difference being that this function can be accessed by any application that has credentials to access your Azure Account. 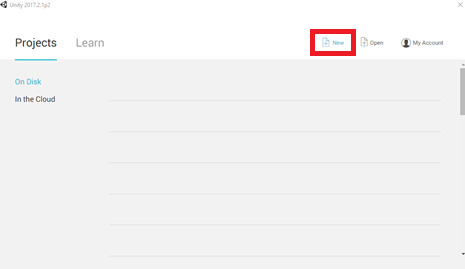 From your Azure Portal, click on New in the top left corner, and search for Function App, and click Enter. 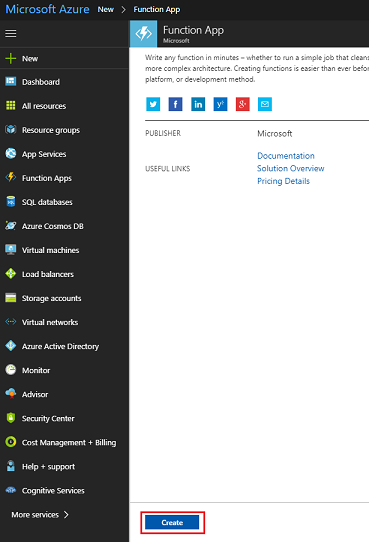 The new page will provide a description of the Azure Function App service. At the bottom left of this prompt, select the Create button, to create an association with this service. Provide an App name. Only letters and numbers can be used here (either upper or lower case is allowed). 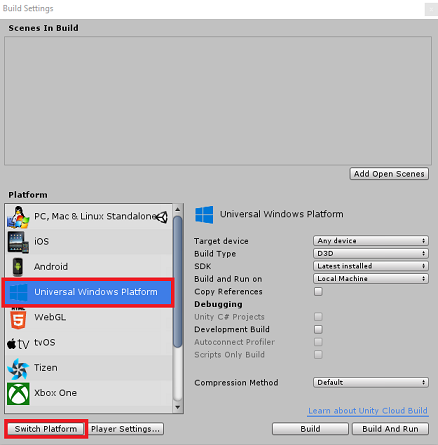 For this exercise, select Windows as the chosen OS. Select Consumption Plan for the Hosting Plan. Determine the Location for your resource group (if you are creating a new Resource Group). The location would ideally be in the region where the application would run. Some Azure assets are only available in certain regions. For optimal performance, select the same region as the storage account. For Storage, select Use existing, and then using the dropdown menu, find your previously created storage. Leave Application Insights off for this exercise. Click the Go to resource button in the notification to explore your new Service instance. You will be taken to your new Function App service instance. On the Function App dashboard, hover your mouse over Functions, found within the panel on the left, and then click the + (plus) symbol. On the next page, ensure Webhook + API is selected, and for Choose a language, select CSharp, as this will be the language used for this tutorial. Lastly, click the Create this function button. 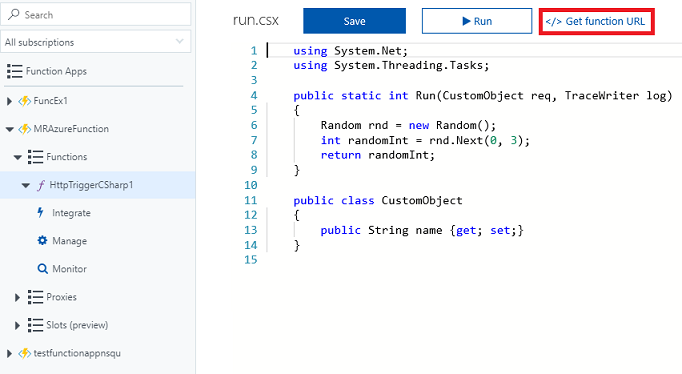 You should be taken to the code page (run.csx), if not though, click on the newly created Function in the Functions list within the panel on the left. Copy the following code into your function. This function will simply return a random integer between 0 and 2 when called. Do not worry about the existing code, feel free to paste over the top of it. Click on Get function URL and take note of the endpoint displayed. You will need to insert it into the AzureServices class that you will create later in this course. You will not require Motion Controllers for this course. If you need support setting up the immersive headset, please visit the mixed reality set up article. You will now need to provide a Unity Project name. Insert MR_Azure_Functions. Make sure the project type is set to 3D. Set the Location to somewhere appropriate for you (remember, closer to root directories is better). Then, click Create project. 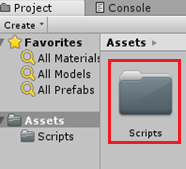 Open your newly created Scenes folder, and then in the File name: text field, type FunctionsScene, then press Save. 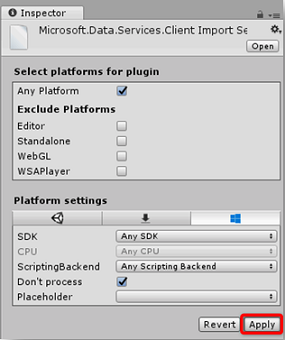 Scripting Runtime Version should be Experimental (.NET 4.6 Equivalent), which will trigger a need to restart the Editor. 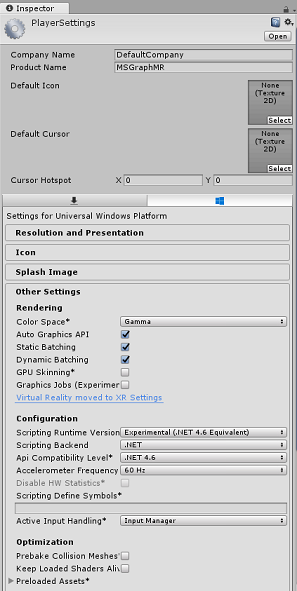 Further down the panel, in XR Settings (found below Publishing Settings), tick Virtual Reality Supported, make sure the Windows Mixed Reality SDK is added. If you wish to skip the Unity Set up components of this course, and continue straight into code, feel free to download this .unitypackage, and import it into your project as a Custom Package. This will also contain the DLLs from the next Chapter. After import, continue from Chapter 7. In the Hierarchy Panel, you will find an object called Main Camera, this object represents your "head" point of view once you are "inside" your application. To do this, select the Gear icon next to the Camera's Transform component, and select Reset. 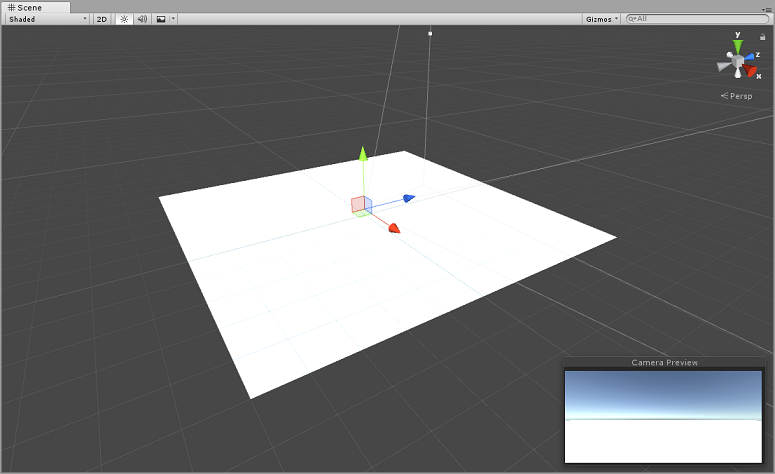 Right-click in an empty area of the Hierarchy Panel, under 3D Object, add a Cube. Rename the Cube to GazeButton (with the Cube selected, press 'F2'). Click on the Tag drop-down button and click on Add Tag to open the Tags & Layers Pane. Select the + (plus) button, and in the New Tag Name field, enter GazeButton, and press Save. 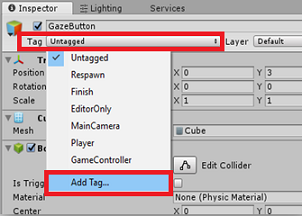 Click on the GazeButton object in the Hierarchy Panel, and in the Inspector Panel, assign the newly created GazeButton tag. Right-click on the GazeButton object, in the Hierarchy Panel, and add an Empty GameObject (which will be added as a child object). 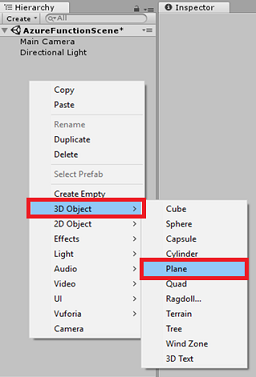 Select the new object and rename it ShapeSpawnPoint. Next you will create a 3D Text object to provide feedback on the status of the Azure service. 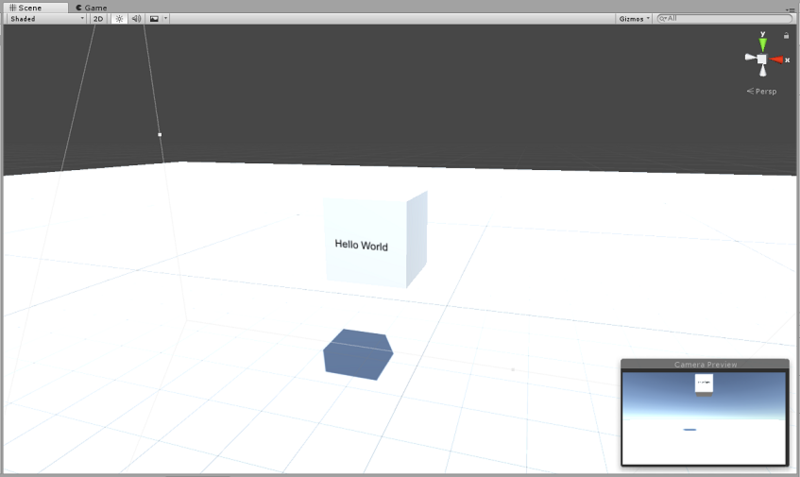 Right click on the GazeButton in the Hierarchy Panel again and add a 3D Object > 3D Text object as a child. 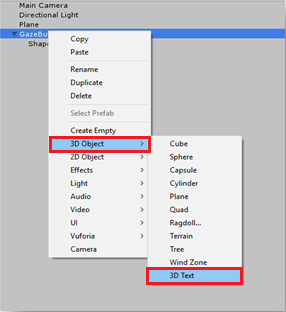 Rename the 3D Text object to AzureStatusText. Do not worry if it appears to be off-centre, as this will be fixed when the below Text Mesh component is updated. The selected color here is Hex color: 000000FF, though feel free to choose your own, just ensure it is readable. 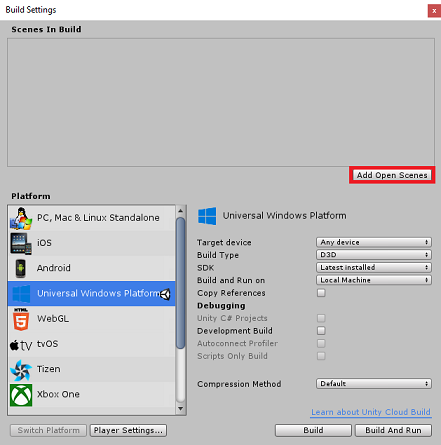 You will be using Azure Storage for Unity (which itself leverages the .Net SDK for Azure). 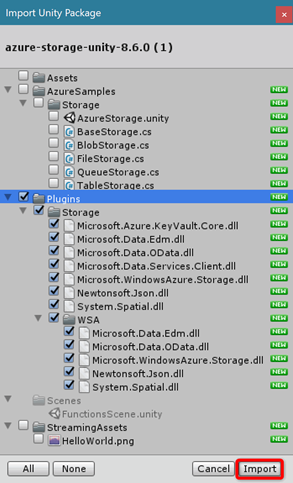 You can read more about this at the Azure Storage for Unity article. 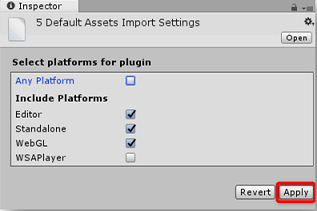 Add the .unitypackage file to Unity by using the Assets > Import Package > Custom Package menu option. We are marking this plugin "Don't process" because the Unity assembly patcher has difficulty processing this plugin. The plugin will still work even though it is not processed. The first class you are going to create is the AzureServices class. Calling your Azure App Function. The upload and download of the data file in your Azure Cloud Storage. 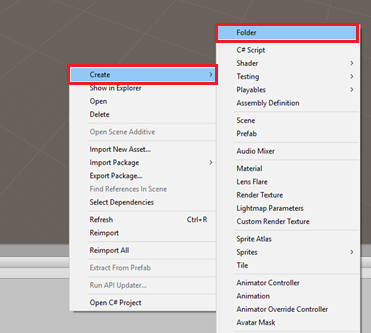 Right-click in the Asset Folder, located in the Project Panel, Create > Folder. Name the folder Scripts. Right-click inside the folder, Create > C# Script. Call the script AzureServices. Double click on the new AzureServices class to open it with Visual Studio. We will fill in the code for CallAzureFunctionForNextShape() in a future Chapter. 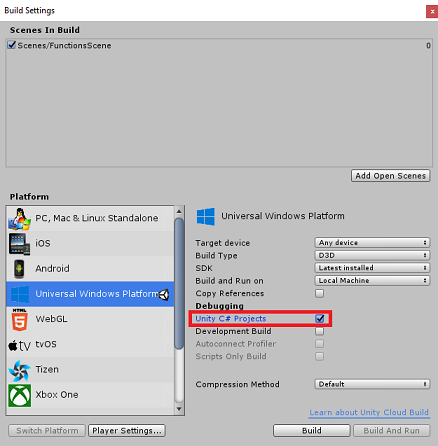 Save your changes in Visual Studio, and then return to Unity. Click and drag the AzureServices class from the Scripts folder to the Main Camera object in the Hierarchy Panel. 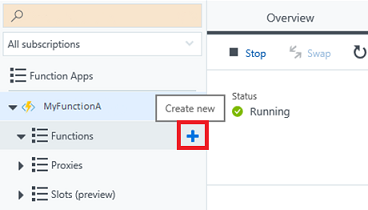 Select the Main Camera, then grab the AzureStatusText child object from beneath the GazeButton object, and place it within the AzureStatusText reference target field, in the Inspector, to provide the reference to the AzureServices script. The next script to create, is the ShapeFactory class. The role of this class is to create a new shape, when requested, and keep a history of the shapes created in a Shape History List. Every time a shape is created, the Shape History list is updated in the AzureService class, and then stored in your Azure Storage. When the application starts, if a stored file is found in your Azure Storage, the Shape History list is retrieved and replayed, with the 3D Text object providing whether the generated shape is from storage, or new. 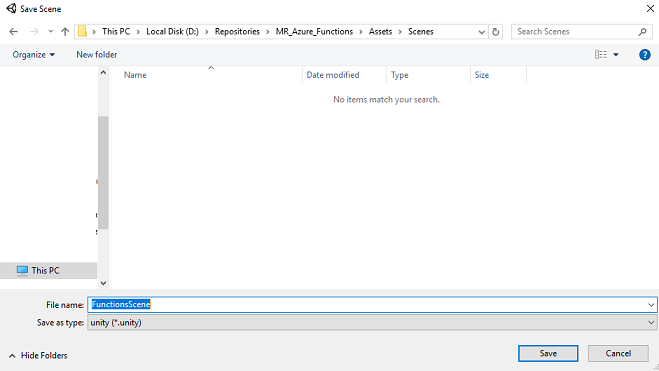 Right-click inside the folder, Create > C# Script. Call the script ShapeFactory. 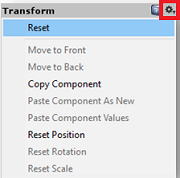 Double click on the new ShapeFactory script to open it with Visual Studio. 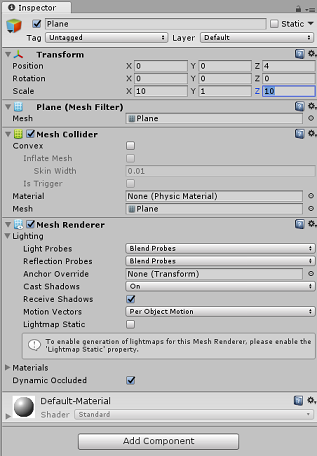 Back in the Unity Editor, click and drag the ShapeFactory class from the Scripts folder to the Main Camera object in the Hierarchy Panel. 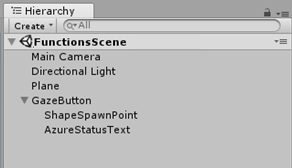 With the Main Camera selected you will notice the ShapeFactory script component is missing the Spawn Point reference. To fix it, drag the ShapeSpawnPoint object from the Hierarchy Panel to the Spawn Point reference target. The last script you need to create is the Gaze class. This class is responsible for creating a Raycast that will be projected forward from the Main Camera, to detect which object the user is looking at. In this case, the Raycast will need to identify if the user is looking at the GazeButton object in the scene and trigger a behavior. Right-click in the Project Panel, Create > C# Script. Call the script Gaze. Double click on the new Gaze script to open it with Visual Studio. Some of these variables will be able to be edited in the Editor. Next add the UpdateRaycast() method, which will project a Raycast and detect the hit target. //    object. If so, reset the focused object. Lastly, add the ResetFocusedObject() method, which will toggle the GazeButton objects current color, indicating whether it is creating a new shape or not. 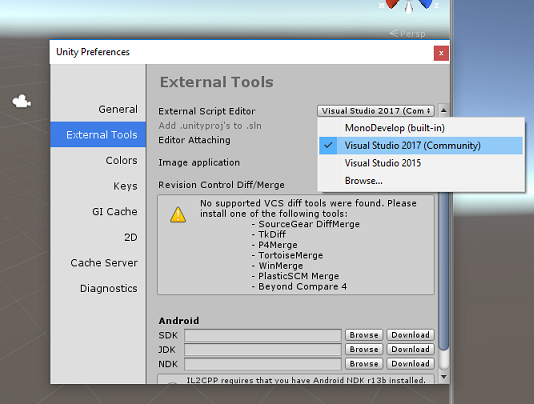 Save your changes in Visual Studio before returning to Unity. 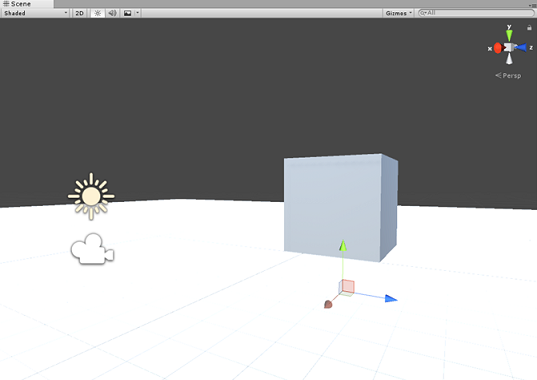 Click and drag the Gaze class from the Scripts folder to the Main Camera object in the Hierarchy Panel. Adding a new method named CreateCloudIdentityAsync(), to set up the authentication variables needed for communicating with Azure. This method will also check for the existence of a previously stored File containing the Shape List. If the file is found, it will disable the user Gaze, and trigger Shape creation, according to the pattern of shapes, as stored in the Azure Storage file. 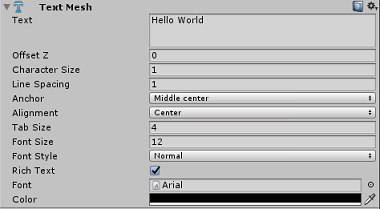 The user can see this, as the Text Mesh will provide display 'Storage' or 'New', depending on the shapes origin. If no file is found, it will enable the Gaze, enabling the user to create shapes when looking at the GazeButton object in the scene. Fill in the code for the method CallAzureFunctionForNextShape(). You will use the previously created Azure Function App to request a shape index. Once the new shape is received, this method will send the shape to the ShapeFactory class to create the new shape in the scene. Use the code below to complete the body of CallAzureFunctionForNextShape(). Add a method to create a string, by concatenating the integers stored in the shape history list, and saving it in your Azure Storage File. Add a method to retrieve the text stored in the file located in your Azure Storage File and deserialize it into a list. Once this process is completed, the method re-enables the gaze so that the user can add more shapes to the scene. Navigate to the App folder which was created in the last Chapter. You will see a file with your apps name, with the '.sln' extension, which you should double-click, so to open it within Visual Studio. Your App should now appear in the list of installed apps, ready to be launched and tested! Congratulations, you built a mixed reality app that leverages both the Azure Functions and Azure Storage services. Your app will be able to draw on stored data, and provide an action based on that data. Create a second spawn point and record which spawn point an object was created from. When you load the data file, replay the shapes being spawned from the location they originally were created. Create a way to restart the app, rather than having to re-open it each time. Loading Scenes is a good spot to start. After doing that, create a way to clear the stored list in Azure Storage, so that it can be easily reset from your app.